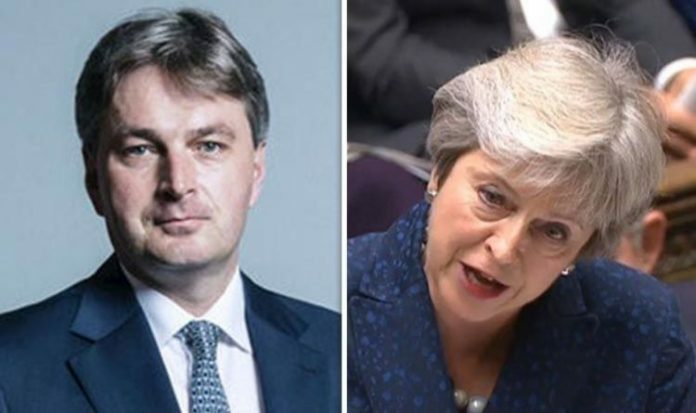 And in a blunt message in which he urged Mrs May to show “leadership”, Brexit-backing Shrewsbury and Atcham MP Daniel Kawczynski said any further weakening of her much-criticised Chequers Brexit blueprint would “add an extra layer” into the growing number of Tories opposed to the controversial proposals. Mr Kawczynski stopped short of backing a leadership challenge or voicing support for potential challengers such as Boris Johnson or Jacob Rees-Mogg. However, he made it clear that Mrs May risked losing the support of rank-and-file Conservative MPs such as himself – and consequently her job – unless she was able to strike a deal which satisfied those who voted to quit the EU in 2016. However, he warned: “Any further weakening of this country’s position will simply add a whole extra layer of anti-Chequers MPs. “The reason why I campaigned for Brexit was because I felt that David Cameron came back from Brussels two years ago with a deal which was unsellable. “As a member of Parliament I think that every MP has to tap into the mood of the people he represents. “In a nutshell it comes down to Chequers or Canada plus-plus-plus or no deal. Mr Kawczynski said Brussels was “desperate” for the £39billion the UK is rumoured to be willing to pay to exit the bloc, and urged Mrs May to use this as a bargaining chip. He added: “The problem with the Chequers agreement is that it has no mojo – it’s no kind of sales brochure, in terms of what we have to gain from Brexit. “The Prime Minister has to show leadership here. “If she is going to remain impervious to genuinely held concerns then she will be doing something which puts her position at risk. “I want a leader who is going to acquiesce to what the British electorate voted for. “If she does what she says she is going to do and gets us a Canada plus-plus-plus model then fine. Mr Kawczynski pointed out that Mrs May, while ostensibly pro-Remain during the 2016 referendum, had done very little campaigning, creating the impression that she was trying to stay out of the debate. He said: “I don’t really buy that. “This is the single biggest issue of my political life. Mr Kawczynski’s comments come during a turbulent period for Mrs May which has seen 50 backbenchers attend a meeting at Westminster at which they openly discussed ways of replacing her. Meanwhile, European Commission President Jean-Claude Juncker used his speech yesterday to deal a significant blow to the Chequers proposals, reject the idea of Britain staying close to the EU in trading goods while going its own way on services. Time is running out to strike a deal with the EU prior to March 29, the day the UK quits the bloc, and the original October deadline appears highly unlikely to be met. Bookies’ comparison website www.bookmakers.tv puts the odds on Theresa May no longer being Prime Minister by the end of the year at 9/4. A spokeswoman added: “At the moment, 64 percent of bets are on Theresa May stepping down before end of the year. The odds for her still being in power when the UK leaves the EU are 4/6, while the odds of a no Brexit-deal by April 1 2019 are 4/7.